The focus of this post is to get up and running a secondary DC in the lab environment, hosted in the cloud. The assumption will be made that the base OS installation has been completed per this earlier post. 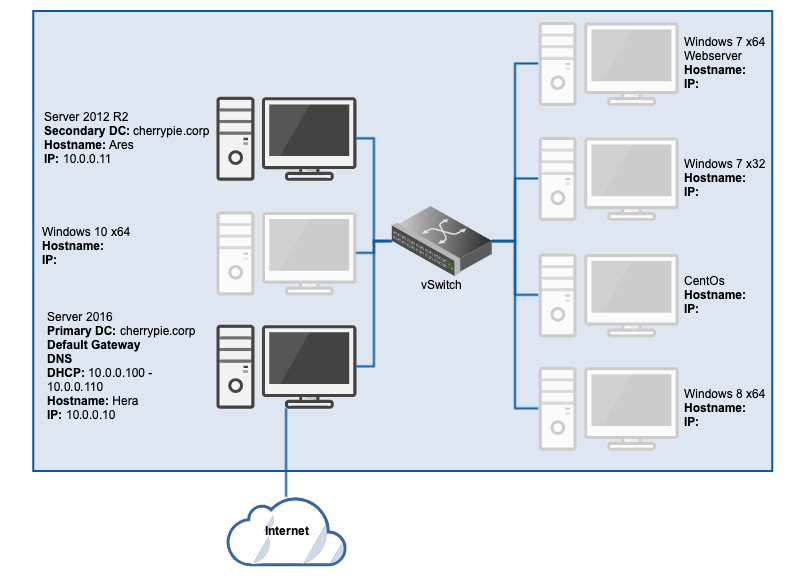 Point the secondary DC default gateway and DNS to the primary DC IP address configured in part one of this series. Click OK, OK, then Close. Static IP configuration complete. Each time Microsoft creates a new version of the Server operating system, they upgrade the way Active Directory domains function. This being the case, a domain functional level can only ever be as high as the oldest DC in an environment will allow. For example, in a domain with a primary DC which is Server 2012 R2, and a secondary DC which is Server 2008, the forest functional level can only be Server 2008 in order to be compatible with both servers (AD isn’t forwards compatible, only backwards). Hence, if we created the AD domain on a Server 2016 server, the forest functional level will need to be manually lowered to allow this Server 2012 R2 DC to function correctly within the environment. That’s it. Now when we try to promote this server to a DC, everything should work correctly. NB: You may need to put in the FQDN of the domain, i.e. cherrypie.corp. If successful, a confirmation dialogue will appear as below. If unsuccessful, an error dialogue will appear. Most errors can be fixed with a quick Google, but it’s worth testing connectivity between this machine and the primary DC first (i.e. ping, etc.). Leave Features as default, click Next. Click Next on AD DS. Click Install. Once done, click Close. Leave the Additional options as default, click Next. Leave Paths as default as well, click Next. On the Review Options page, review the options you have configured, ensure they are correct, then click Next. Finally, click Install. The server should automatically restart once installation is complete. With that done, the secondary DC is now fully functional (if everything succeeded). At the moment it should be able to browse the Internet, which is great for testing connectivity, but should typically be disabled via one method or another. In any event, connectivity between the two DCs should be working as well. Go here to see how the Server 2016 primary DC was created, or here to move on and create a Windows 10 workstation within the lab domain.